For the parent of a special needs child, everything has been different for you and for them from the very beginning. You might have known about their challenges before they were born or you might have discovered their special needs as they started to grow. But regardless of when you understood the nature and extent of their disability, your number one priority has always been their happiness and personal development. In this article, we will talk about the educational options that are available to children and young adults with special needs and how to find the best opportunity for your child. In the spring of 2008, two-year-old Michael was playing with his cousins at his grandparents’ house. His mother was inside helping prepare a big family dinner when she had the thought to check on her son. She went outside, but he wasn’t with his cousins. She looked around the yard, calling his name. When she found him, he was laying on the ground with a piece of fencing laying on top of him. He wasn’t breathing. The family called an ambulance and began CPR. Michael’s life was saved that day by the skill of amazing first responders and medical personnel, but because he was without oxygen for a few minutes, he suffered an irreparable brain injury. For this family, and for many others, life would never be the same. Michael’s life experience would be different than his family imagined he would have when he was born. But they have found that even though it is different than they imagined it would be, it is still a very sweet and precious experience, and Michael has thrived and blessed his family in countless ways. He is a joy and he experiences real joy every day. No matter what your child’s disabilities are—from Autism to a traumatic brain injury, from blindness to a learning disorder—you want what’s best for your child. You want to help them succeed and find happiness and live a full and fulfilling life. One of the most impactful ways to do this is to find the right educational situation for them. When you have a special needs child, you know better than anyone that their learning experience needs to be customized so that they can feel a sense of accomplishment, pride, and progress no matter the extent of their disability. What are your child’s specific needs? What kinds of environments do they respond best in? You know your child better than anyone. Think about your child and their aversions and preferences. Make a list of priorities that need to be a part of any educational program that they are going to participate in. How does your child learn best? This is another one of the most crucial questions you can think about. There are many different kinds of learners—visual, hands-on, auditory—and some children cross over into multiple categories. Use this information about your child’s learning style to look for a program that caters to this type of learning or uses a combination of techniques to enhance the educational process for various kinds of learners. Visit programs. Create a list of possible schools and programs in your area. Make an on-site visit to each one and talk to the directors, principals, and teachers and explain your child’s challenges. Make sure the staff and teachers are willing and able to accommodate the needs of your child. Keep a record of what each program has to offer your child as well as any concerns. Be observant and don’t be afraid to ask a lot of questions. Linger in the classrooms. This is a big decision and the more information you have the better. As you start to narrow your options, it can be helpful to bring your child with you to assess their feelings and impressions. As you make your visits, discuss how each school or program will meet IEP goals. The IEP lists the services your child requires, along with their developmental or educational goals short-term and long-term goals. How will the schools you visit address these plans? For example, will they be part of the class’s daily routine, or will your child be pulled out for support services? Ask about the curriculum and the modifications that are available for your child. Does the school make individual accommodations that are developmentally appropriate? Make sure the curriculum will allow your child to feel a sense of accomplishment and success as they progress through it. Consider class sizes and number of teachers. Is there extra support in the classroom? Again, think about what the best learning environment for your child is. Are they anxious or withdrawn in large group settings? Do they have trouble transitioning from one activity or classroom to another? How will these needs be addressed at each school you are considering? Keep in mind that depending on the nature of the disability, small group learning situations are generally best for special needs students—ideally no more than 10-12 students, with at least two teachers. It is also important to talk to the school district about providing an individually-assigned aide if your child needs one. Check for programs that have integrated curriculums. If your child has additional therapy needs, some schools will integrate the therapy directly into the school day. 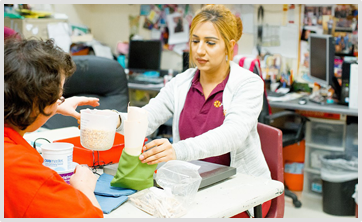 For some children with special needs, occupational, physical, speech or other therapy programs constitute an important element of their learning and developmental progress. It can make a long day for a student that attends school and then has additional therapy sessions. The more that this can be integrated directly into the school-day curriculum, the better it is for most students. Look for a strengths-based approach. Too often when educators talk about students receiving special education services, the conversations concentrate on deficits, limitations, and problems. Challenge this approach and change the conversation by focusing on your child’s strengths. Seek a program that shares the same perspective. Evaluate your child’s abilities and gifts and find an educational program that supports and matches those strengths. “If you have a child that really loves music, sports, or the arts – and that’s an area where they thrive – then look at what sort of programming they offer that speaks to your child’s strengths,” said Catherine Tafur, an occupational therapist. Tafur points out that this gives your child the best opportunity to succeed. As you consider the best option for your child, determine how each school’s unique educational programming provides a chance for learning through participation in an area that your child already enjoys. Determine transportation needs to and from school and travel distance. Obviously, your number one goal is to find an educational program that your child can thrive in, but it’s important to consider long travel or commute time, bus service and how this will affect your child’s love for or dislike of school and your ability to get them there. Some children happily tolerate being the car or love riding the school bus, while others don’t. Traveling to and from school will be a part of their day so to make sure the accommodations are acceptable to both of you. Advocate for your child. As you explore and investigate the educational options available to your child, don’t be afraid to negotiate with the school district to get the right learning environment for your child. Before accepting what the school district offers, make a strong case for what your child needs. Create a team of professional and medical experts to advise and help you. You can ask these professionals who have worked with your child to write letters on your behalf. Seek an independent evaluation of your child’s special needs, at your own expense, to support your position. Then meet with the district or committee on special education to carefully and calmly explain your points and, hopefully, reach a compromise. Keep in mind that nothing is set in stone, especially when it comes to your child’s development. As their needs change over time, as their parent and advocate, it is your job to monitor their progress, their happiness, and their mental and physical state, to make sure they are continuing to thrive in their educational environment. When it’s no longer working for your child, it’s time to make a change. There are many things to keep in mind and balance as you select the right education program or school for your special needs child. It can be rightfully overwhelming. But you know your child best and you love them most. That makes you the perfect person to advocate for their specific and unique needs. Trust your instincts and then carefully work towards finding the ideal situation for them and for your entire family. Understanding the many considerations that come into play for special needs students and their families, ACCEL educational programs were established to provide another option and resource for meeting these needs and addressing particular concerns. 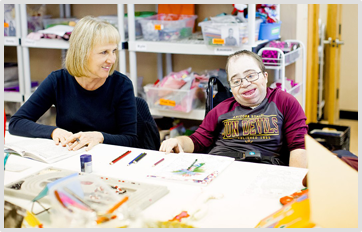 ACCEL schools are unique learning environments that concentrate on the needs of children with special needs along with a broad spectrum of disabilities. ACCEL schools were created with these children as the focus and our campuses and curriculums were designed specifically to meet their individual needs and enhance their educational experience. WHAT MAKES ACCEL SCHOOLS DIFFERENT? As explained, it’s so important to consider exactly what your child needs in order to choose the right school for them. We start with this question because programming at ACCEL is individualized and specific, we believe in a strengths-based learning approach, and we can accommodate this because we have created a highly structured learning environment with small class sizes. With our high staff to student ratio, we are not only able to provide individualization in academics, but we can carefully tailor instruction to meet our students’ needs. Our customized curriculums range anywhere from functional education to near grade-level programs to vocational skills and even to independent living proficiency programs. 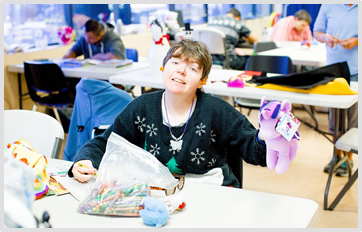 We offer many unique learning modules as well as opportunities to practice social skills, allowing our students to expand their skill sets and test their limitations. 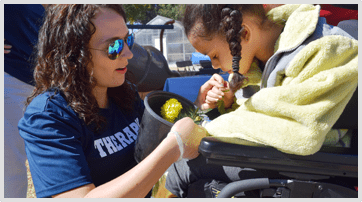 Additionally, physical, occupational, speech/language, and music therapy services, as well as adaptive aquatics, vision, and nursing services are available to all of our students based on their individual needs. Our students flourish in this kind of environment. ACCEL schools, teachers, and staff genuinely care about your child. 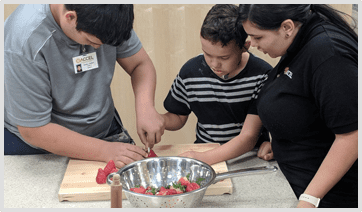 Our educational curriculum is carefully integrated with support services so that therapeutic, vocational, and behavioral services are assimilated directly into daily activities and can serve students with a wide range of abilities and challenges. We are not only appreciated by our students and their families, but we have been recognized both nationally and internationally for the work we are doing in our schools. 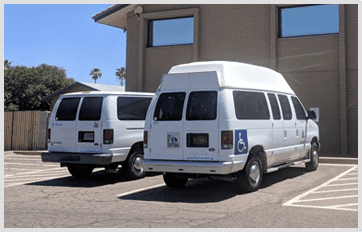 ACCEL is the only special education school program in Arizona to earn accreditation from the National Commission for Accreditation of Special Education Services (NCASES). Our schools have also achieved recognition as a School of Excellence from the National Association of Special Education Teachers. HOW CAN MY CHILD ATTEND AN ACCEL SCHOOL? If your child has a Special Education diagnosis, they are eligible to enroll and attend an ACCEL school. In addition to these diagnoses, ACCEL educational programs are also designed to serve and teach students with visual and/or hearing impairments. Parents and students are always welcome to visit our programs to get more information and to see if our education programs are a good fit for your student. We are also happy to answer specific questions regarding tuition costs, agreements, and scholarship opportunities, and give you all the information you need to make the best, most-informed decision regarding your child’s educational opportunities. WHAT ARE MY OPTIONS FOR ENROLLMENT? There are several different enrollment options if you want your child to be a part of an ACCEL educational program. Your student can receive a referral from your current school district to attend an ACCEL campus and we can work with you to give you the tools and information you need to get this process started. In some situations, parents have opted to pay for the tuition privately so that their student could get the attention and care they need at our schools. There are a limited number of ESA’s available from the state that direct state tax dollars to provide alternative educational options for qualifying students. An application must be completed through the State of Arizona and if awarded these funds can be used towards ACCEL tuition. info@accel.org or Nancy Molder, Vice President of Educational Services at (602) 995-7366, or NMolder@accel.org. We are happy to help as you navigate the various opportunities available and apply for scholarship funds. 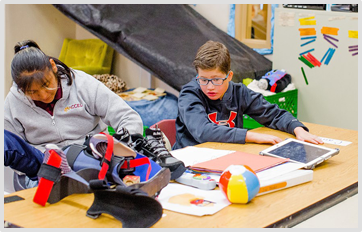 We believe that the ACCEL educational program provides an unparalleled level of care and learning that is highly customized to the needs of each of our special needs students. Our students are at the heart of our program and everything we teach, integrate, and provide for them is done to foster their individual growth, dignity, and independence. Though disabilities vary, each special needs child has something in common: people who love them and want the very best for them. We know that making a decision about the educational program for your child is one of the most important decisions you will make. As you weigh your options and evaluate the opportunities available, remember that you are your student’s best resource and most powerful advocate. With effort and dedication, you will find the program that is the best fit for your student and your whole family. We are happy to talk to you about making ACCEL available to your student. Contact us today.